NEW! Stellar Soccer Trophies make the perfect team soccer awards for your boys or girls soccer team! 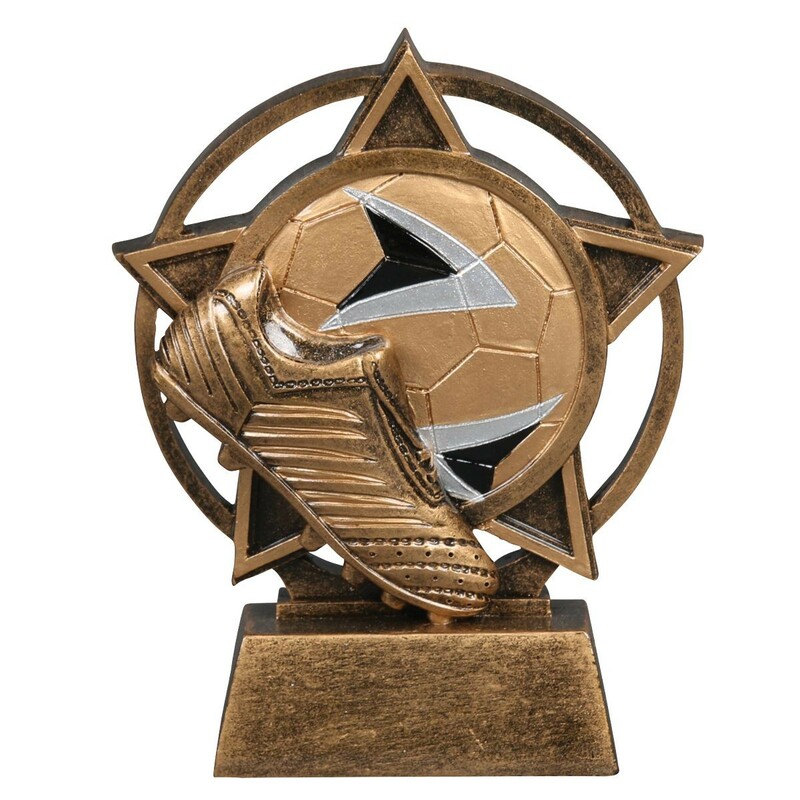 Made of gold colored resin, these 4.5" tall soccer trophies feature a large star with a gold, black and silver soccer ball and cleat in the center. The base features three lines of custom engraving for FREE! Add your player's name, number, team name and year to make this soccer trophy a treasured keepsake!